My mother came from a town known as the "Carving Capital" in the Philippines. One of her brothers won an award from the Art Association of the Philippines for a wood sculpture called "Orasyon". The town also had a good number of musicians. My mother never thought I had any talent in music and the arts. At one point, she even had the notion that I was tone deaf and that my fingers were not nimble enough to do either painting or sculpture. Needless to say, there were really no musical instruments nor art supplies made available to me when I was young. Perhaps, my mother was correct. After all, when I had my hands on one of my uncle's tools, I ended carving my sister's elbow instead of the wood. Growing up, some of my friends were actually confused since they had the impression that I was good at math and they had this idea that if someone had a talent in math, that someone would also be good in music. My son's principal recently shared a photo he took. In that photo, my son was being taught to play the violin. 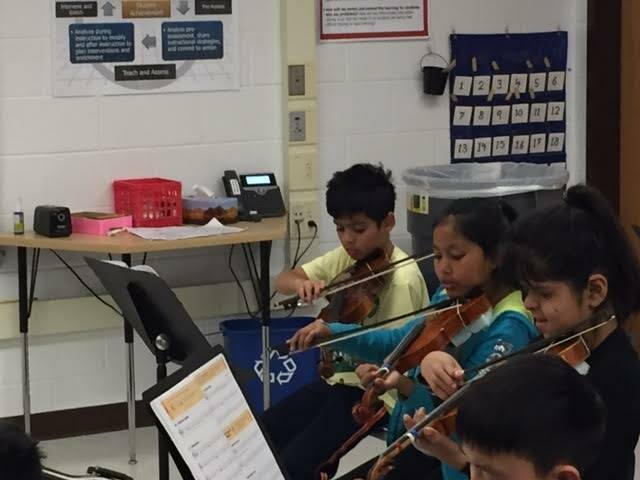 All the students in this elementary school are given the opportunity to play a musical instrument and the violin is my son's choice. The principal, Brian Butler, is a firm believer in the "growth mindset", as demonstrated in one of his recent posts on Facebook. 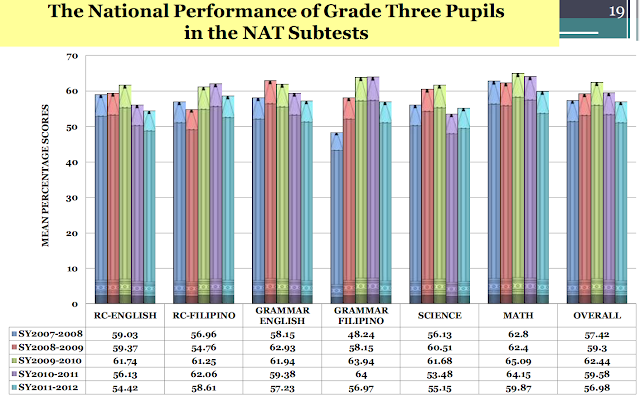 There is a reason why there is a call for parents to focus more on effort and not on innate skills. Take Finland, for instance, the country with a very progressive educational system. Research shows that " the parents with a talent-based explanation or a combination (both talent and effort) explanation for success had a significantly higher opinion of their child's mathematical competence across the child's compulsory school years than did those parents who had an effort-based explanation for success." Another work shows "The intercorrelations of the parents’ assessments of their child’s competencies and motivation among the phases of the study turned out to be statistically significant.The assessments conducted as early as the child’s preschool tended to predict the respective assessments conducted at the very end of the child’s 9-year-long schooling better than by chance." These two pieces of evidence do suggest that parents consider talent as more important than effort. 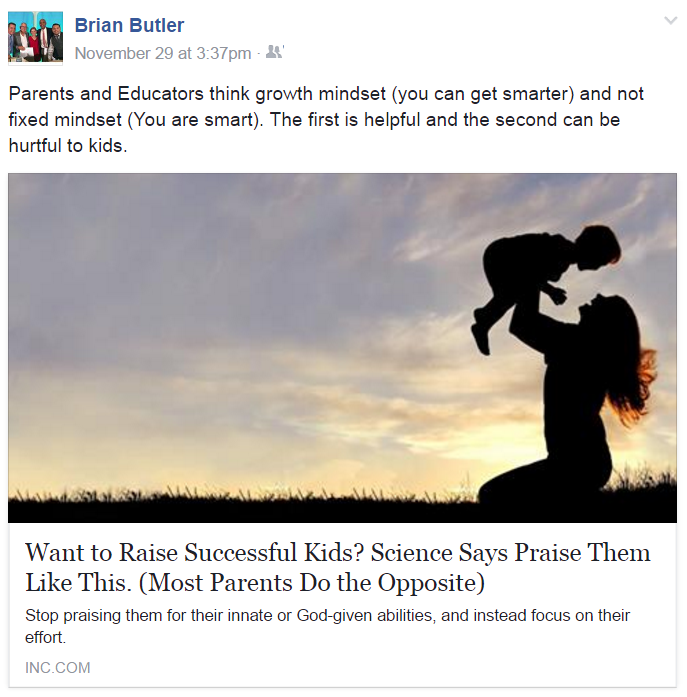 And as principal Butler cautions, "This can be hurtful to kids". After all, it can be strongly self-fulfilling. 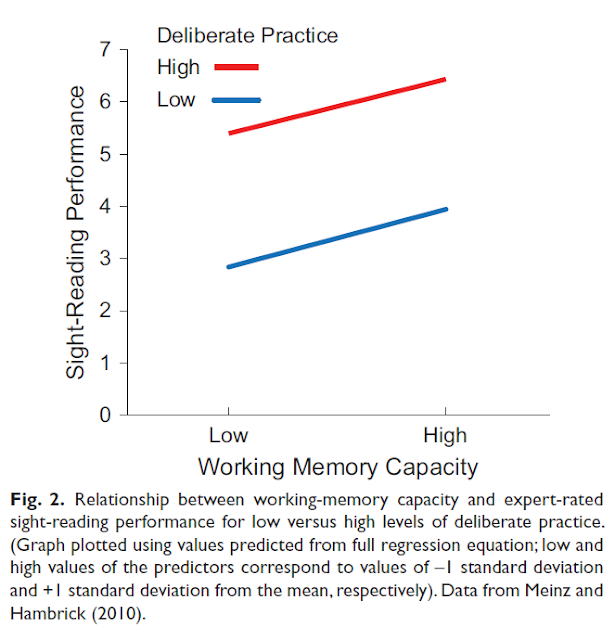 Practice (or effort) does improve significantly performance but individuals with high working memory capacity (representing talent) have an advantage. 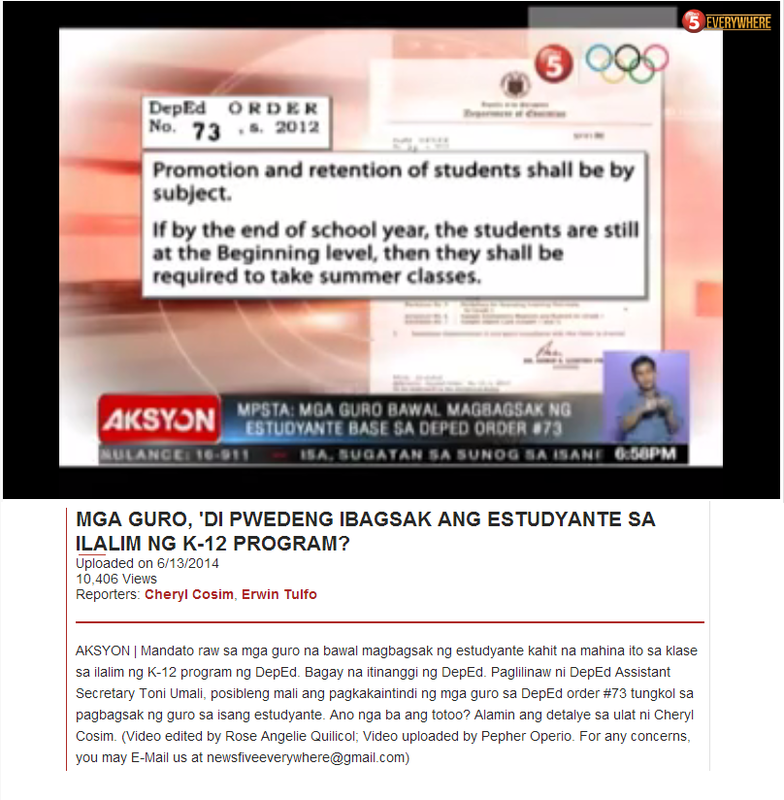 Educators, however, are correct to recognize that emphasis must be made on effort. Schools cannot change the genes we have inherited, but schools can definitely provide the opportunities to learn. Individuals who have talent but do not work hard, the upper tip of the blue line, are not even close in terms of performance to those who are not talented yet work hard, the lower tip of the red line.